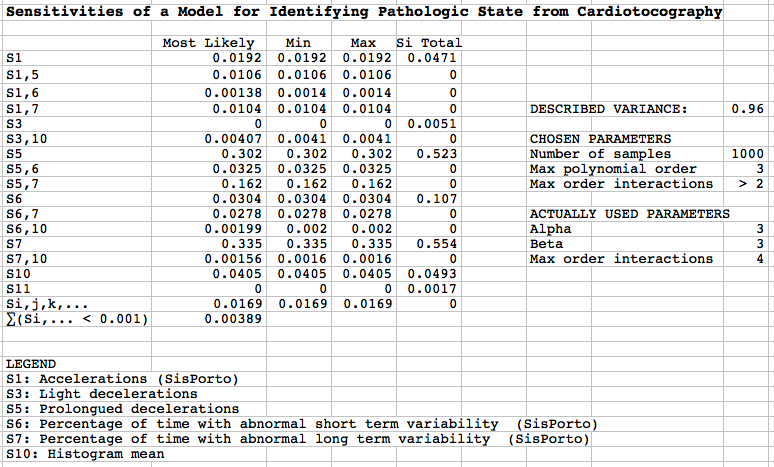 Global vs Local Sensitivity Analysis. Sensitivity analysis has been identified as a very important tool for the quantification of the impact of uncertain parameters on the result of a model simulation. Take for instance, the case of a Swedish commercial real estate firm performing a financial assessment of various heat supply option for their property portfolio; for example between air source heat pumps and district heating. Given nominal values (i.e. "guesstimates") of parameters, the firm will be able to do a calculation of the net present value of both options and determine which of them the most cost effective one is. However the assumption of these calculations is that all parameters are known with certainty and that they do not evolve over time. It is however crucial to consider the effect of varying electricity prices, district heat prices, service maintenance costs, interest rates, coefficient of performance for the heat pump, capital costs assumptions of connection costs for district heating or for necessary reinforcement of the electric grid to install a heat pump etc. It is already easy to see that an apparently simple economic calculation requires a careful assessment of uncertainty. 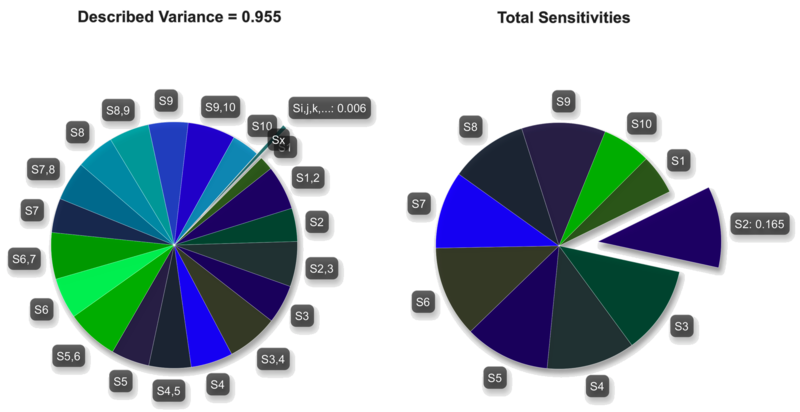 Most existing commercial sensitivity analysis tools are based on "one-factor-at-a-time" (OAT) methods that do not consider interactions between parameters. Ockham is based on the class of "global sensitivity analysis" methods (GSA) which consider these parameter interactions and have been recognized as a safer way to perform uncertainty assessment. Financial and risk analysts interested in to assessing the sensitivity of a project's NPV or the robustness of different securities valuation models. Pharmaceutical scientists, in the evaluation of pharmacometric models or the study of biological systems, including metabolic networks, cell signaling pathways, and genetic circuits. Environmental Engineers working with highly complex computational models. Oil and Gas Reservoir Simulation Engineers, to guide exploration and measurements on oil and gas fields. Government Agencies and Local Authorities for impact assessment studies and policy evaluation. Global Sensitivity Analysis vs Local Sensitivity Analysis. The most widely used type of sensitivity analysis consists of 'one-factor-at-a-time' approaches, which consist of analyzing the effect of varying one model parameter whilst all others are kept constant. Global sensitivity analysis (GSA) approaches rely on the calculation of importance measures based on the simultaneous variation of input parameters. Unlike local sensitivity analysis methods, GSA method is able to explore the parameter space more thoroughly and consistently, accounting for interactions between these parameters. A new and outstanding feature of Ockham is self-detection of interactions between two (Si,j) or more (Si,j,k...) input parameters. Construct sparse surrogate models to calculate Sobol’s first, second and higher order global sensitivity analysis indices. In other words, Ockham™ allows also users without special knowledge in sensitivity analysis to identify most important drivers of their models most objectively and easily from a small set of observational data.